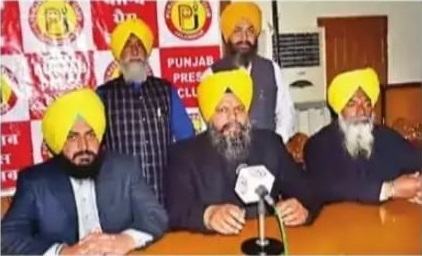 After procuring information under RTI Act from Haryana government about deployment of Police in district Gurugram (formally known as Gurgaon) during the anti-Sikh genocide in November 1984, Manwinder Singh Giaspura of Hondh Chillar Coordination Committee has alleged that this detail clear showed that Sikhs and their houses or Gurudwaras were targeted only at those places where police were present. 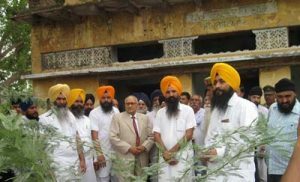 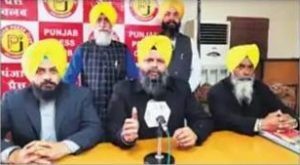 The Committee, which is already pursuing cases pertaining to the massacre of 32 Sikhs in village Hondh Chillar in district Rewari in November 1984, has alleged that later Haryana police, under Congress chief minister Bhajan Lal, closed the FIRs in all these cases in around six months. 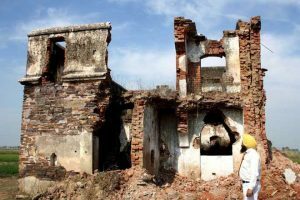 Providing details procured under RTI about the deployment of police and juxtaposing it with the details of the killings of Sikhs and arson during a press conference on Monday, Manwinder Singh said that 38 Sikhs were killed in Gurugram city alone at eight places, three Gurudwaras were burnt and scores of shops were burnt.